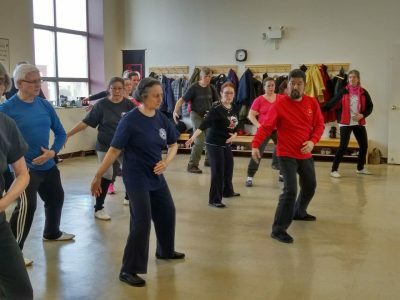 2018.03.23 Master Chen Zhonghua arrived in Ottawa, the capital of Canada from Edmonton, to start Tai Chi cultural promotion activities in Central Canada. 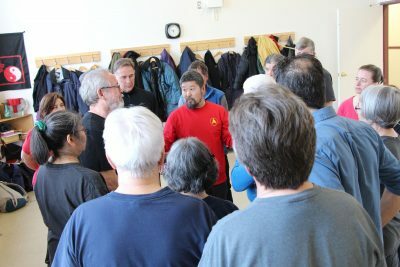 2018.03.23 5:00 – 6:30 pm Chen Zhonghua taught on the Hunyuan Qigong at the Taiji Center in Gatineau, Quebec across from Ottawa. 2018.03.23 Chen Zhonghua, James Tam, and Rachelle Bergeron invited the former dean of the Graduate School of the University of Ottawa, Canada, and tenured professor of the School of Education Tim Stanly to have dinner at the Chinese Restaurant Kelin Pavilion. 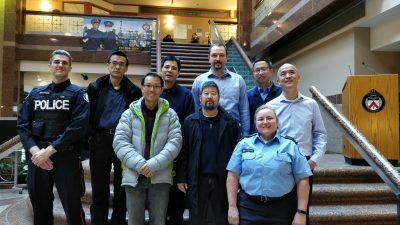 They planned teacher training between the University of Ottawa and Rizhao. 2018.03.23 Chen Xu went to provide guidance to the Shandong Water Conservancy University Practical Method students. 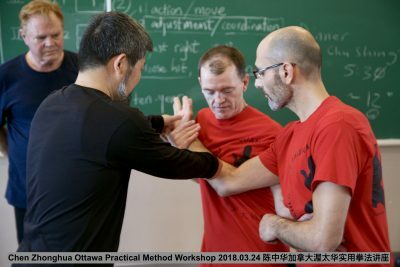 2018.03.24-2018.03.25 Master Chen Zhonghua held a Practical Method workshop at the University of Ottawa, Canada. During the workshop, Indian-Canadian Harshil Meraiya and Greek-Canadian submitted applications for becoming disciples of Master Chen. 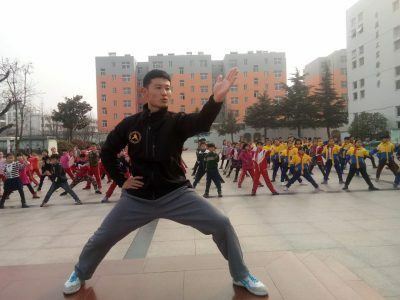 2018.03.24 Chen Xu began to officially teach Practical Method at Rizhao Third Secondary School. 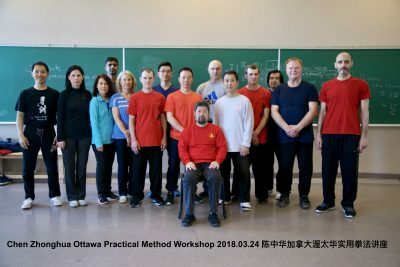 2018.03.25 Raul Pujol officially started a Chen Style Taijiquan Practical Method class at Florida, U.S.
2018.03.26 Master Chen Zhonghua came to Toronto, Canada to visit the Toronto Police Headquarter and Improve Canada Mall. 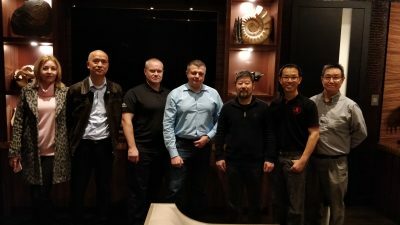 He met with Menghui Nie and discussed about the cooperation of the Daqingshan International Taiji Competition and the Canadian Kungfu Competition in Canada. 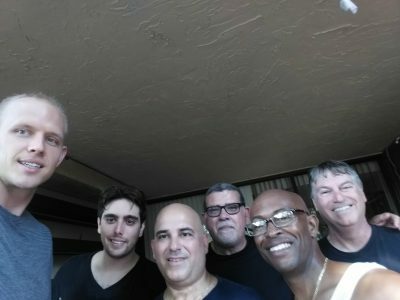 Raul Pujol is in the middle and Jorge Labrada is second from the right.